Greetings dears! Recently I went on a trip to Tokyo, Japan (I'll post photos soon) and I met up with my college classmate who's now an up and coming young talent that is taking America and Japan by storm. Although this blog is "Cute Shanghai", I'd love to share with you one or two posts about my Japan trip and meeting Steven. Keep reading for more! So who is Steven D'Onofrio and why is he on Cute Shanghai? "Ordinary with huge dreams," is what Steven D'Onofrio says to describe himself to people. The native New Yorker is passionate about the intersection of art, culture and entertainment. Currently, D’Onofrio is working on a clothing line promoting a mixture of American meets Japanese pop culture. Each purchase goes toward feeding a hungry child in the world – it’s planned to debut in February 2015. 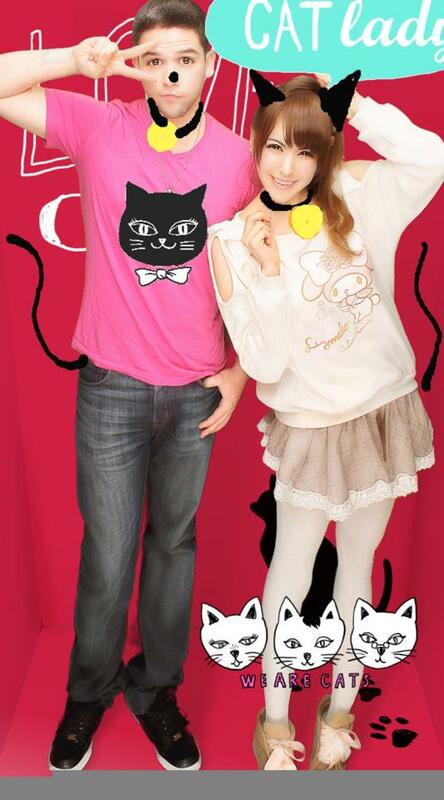 Aside from his clothing line, he is working on his first Japanese/ English single, voice acting and loving his cat, Eiko. He has a YouTube channel where he uploads requested art and teaches Japanese. He plans to bring the channel back full-force in January 2015 when he returns to Tokyo. While in Tokyo, Steven and I met to catch up and have an impromptu Q&A. Despite Steven's many successes, he still says humble things like, "I never thought this would happen" and is pleasantly as kind and down to earth as when I first met him in college. Seriously, for that reason alone you should be his fan! For those of you who dream of living a life like him, traveling across not only the country, but the world all while having a blast doing what you love, I asked him what does it take to get there. "Drink coffee and don't be afraid of criticism," was his words of advice to those who aspire to live like him. He also commented that if you have people who post hate about you, it means people are noticing you and you must be doing something right. Lastly, he emphasizes you need passion and inspiration. Steven's love of drawing has evolved from when he was five and copying picture after picture of Sailor Moon to having his very first manga, Samurai Eiko, published by Dark Horse Comics. Keep your eye out for the release of Samurai Eiko! More than anything, his teaching and studying techniques really put him on the map and helped him land numerous spots as a panel host at various conventions. If you are interested in learning Japanese, his youtube channel has "Nihongo Monday" (Japanese Monday) videos to help you kick start your learning. He has a bunch of super fun videos on how to easily remember Japanese character so you should definitely check those out! Steven's word of advice for those just starting out with Japanese is "don't be intimidated by the characters (kanji and hiragana)!" Really, he has some pretty neat tips to help you out so give it a try! Bonus! 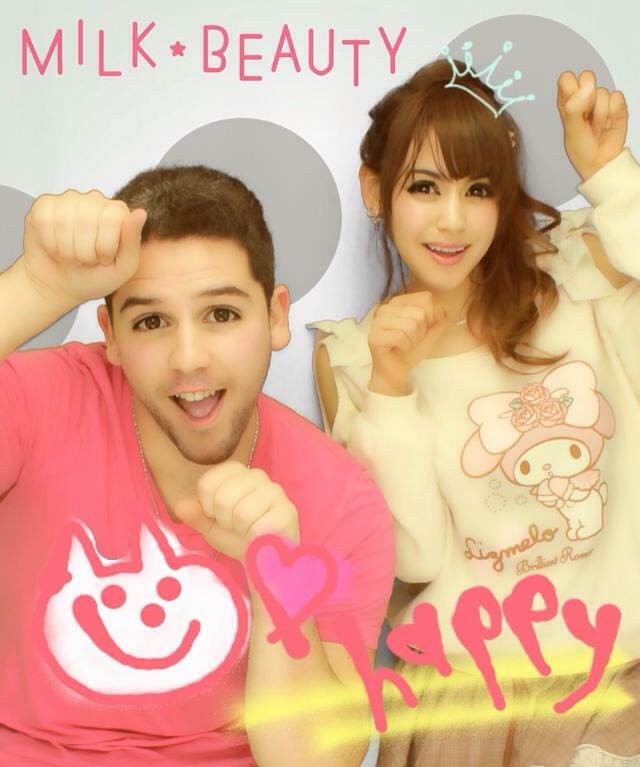 We took purikura together! I am in Kunshan, and there's a Honeys in Auchan shopping center. I just bought a coat and sweater there and the clothes are all very fashionable and decently priced.